Oh look it's my first OOTD of 2015! I did a grand total of 13 Outfit of the Day posts in 2014 which isn't too bad, but I'll try to do better this year. I quickly* took these photos this morning before heading off to meet my pal Kirsty for lunch. 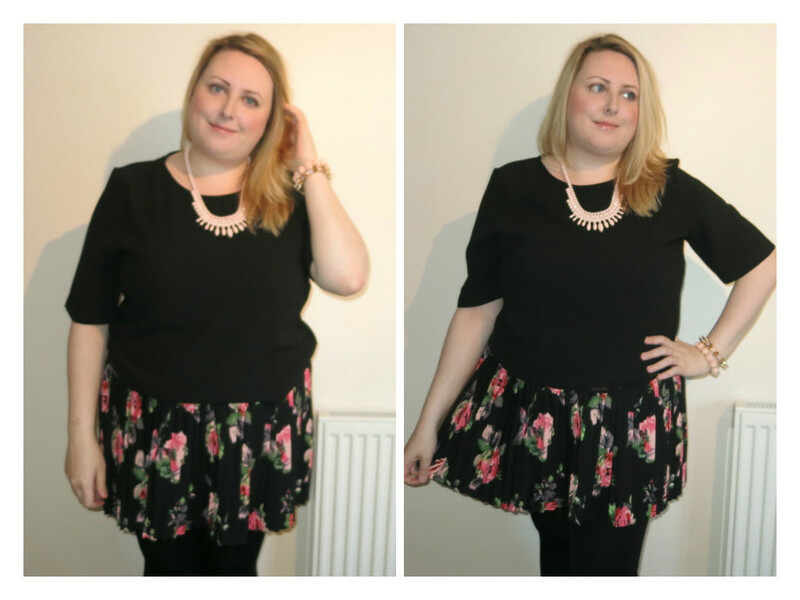 Funnily enough, my first OOTD of 2014 was also taken on the day I met her for a post Christmas catch up lunch, which is a nice wee coincidence. I've called this "Wearing The Sales" as half of the outfit was purchased in the January sales (and will feature in an upcoming sales haul post). 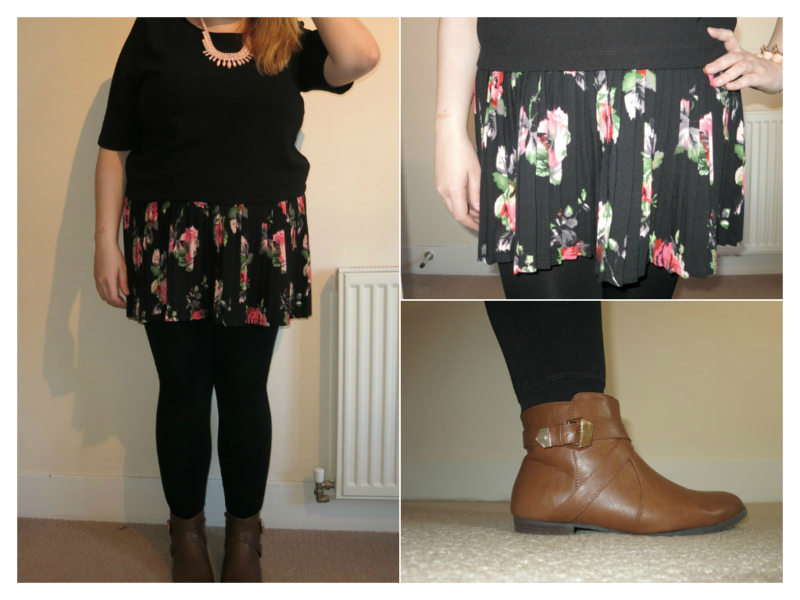 The pleated skirt is from New Look and an absolute bargain at just £7. 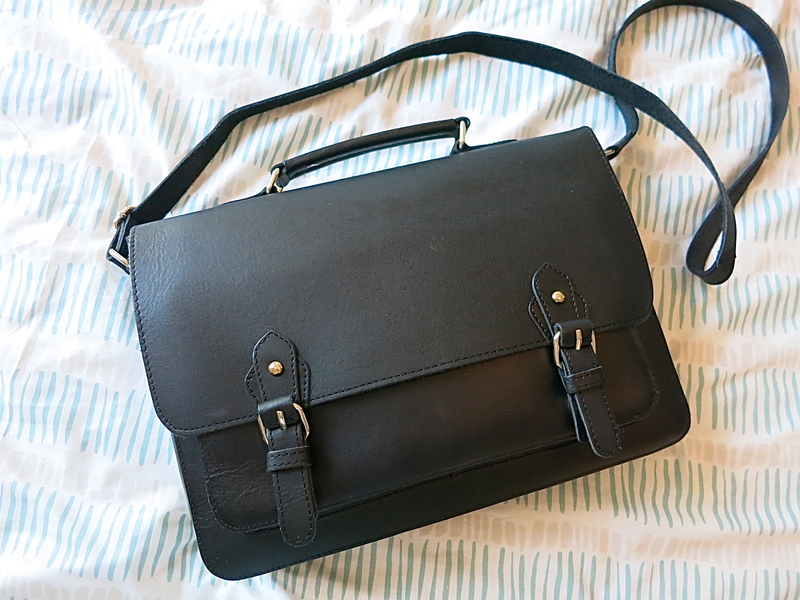 The necklace and bag are both from Topshop - the satchel being my bargain of the year at £20 reduced from £65, ooh mama! I had originally planned on including some outdoor shots here too, and was going to ask Kirsty to help me photos but halfway through lunch it started snowing so that plan went out the window. Luckily I'd taken some backup shots in my coat before I left so those will have to do! 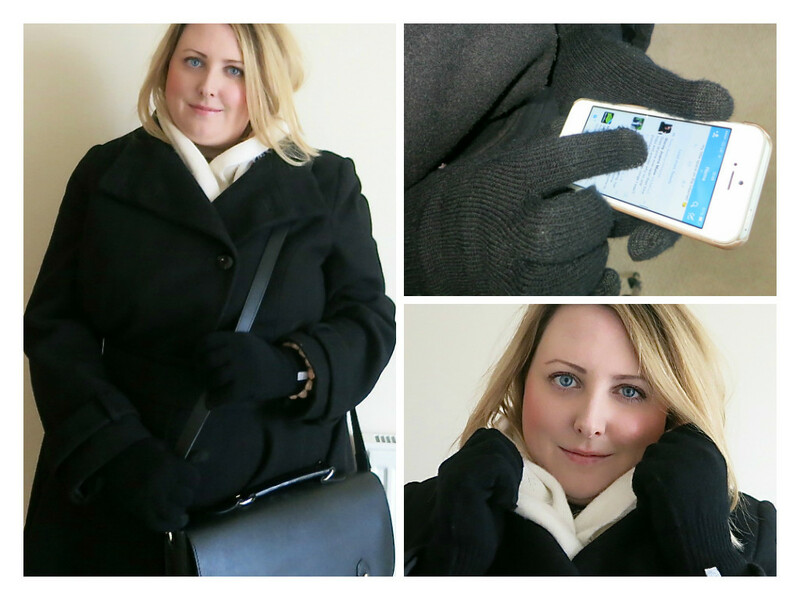 The cosy cream scarf is an oldie from Primark (it's soooo soft!) and the gloves are from Three (yep, they also do accessories!). In case you can't tell from my cheesy phone shot, the gloves are usable with touchscreens which means I am free to browse Twitter on my iPhone whilst waiting on my bus in the morning without getting chilly fingers - win!